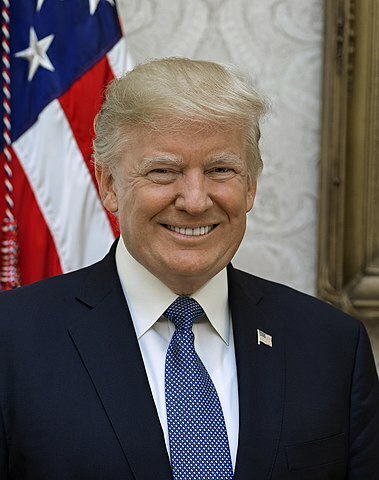 On March 20, President Donald Trump issued a message to the millions of people celebrating Nowruz, the Persian New Year, around the world, including in Iran. He used the occasion to criticize the Islamic Republic's government. “This year, as they have each year for the past four decades, they [Iranians] mark the arrival of spring under the heavy burden of the oppression of their country’s ruthless and corrupt regime,” he said. Trump’s statement is below, followed by messages from other Western leaders. I send my warmest wishes to those in the United States and around the world observing the ancient holiday of Nowruz. Nowruz is a special time of thanksgiving and celebration for many across western and central Asia, and especially in Iran, to gather and reflect on the blessings of the previous year as they prepare with a renewed spirit of optimism for the coming of spring. Sadly, the Iranian people are once again unable to share fully in the joy of this occasion. This year, as they have each year for the past four decades, they mark the arrival of spring under the heavy burden of the oppression of their country’s ruthless and corrupt regime. The Iranian people desire to reclaim their country’s proud history, expressive culture, and rightful place on the world stage. They deserve a government that is accountable to them and that treats them with dignity and respect. The Iranian regime, however, rejects these principles. As a result, everyday life for the people of Iran is tragically at odds with the true meaning of Nowruz, which is Farsi for “new day” and carries tremendous hope for a day when good triumphs over evil and sorrow gives way to joy. In solidarity with the people of Iran, who yearn for a future of liberty, opportunity, and prosperity, the United States of America continues to condemn the dictatorial Iranian regime. We pledge never to turn a deaf ear to the calls of the Iranian people for freedom, and we will never forget their ongoing struggle for human rights. I join people around the world in celebrating Nowruz and in praying for the rebirth of liberty in Iran. Freedom and justice will one day prevail over tyranny. Nowruz Pirouz – Happy Nowruz. I would like to wish a Happy Nowruz to the people of Iran, and to everyone who celebrates this ancient tradition that marks the arrival of spring and a New Year, including people in Afghanistan, Azerbaijan, China, Georgia, India, Iraq, Kazakhstan, Kyrgyz Republic, Pakistan, Russia, Syria, Tajikistan, Turkey, Turkmenistan, Uzbekistan, the Kurdish people, and their communities in the United States. For millennia, Nowruz has endured as a cornerstone of culture and heritage for many peoples and societies. Nowruz brings family and friends together to reflect on the past while celebrating the future, and is a time for connecting with loved ones both near and far. As Iranians celebrate Nowruz this year, they should be able to have unrestricted access to social media sites to share photos of their holiday gatherings and to send New Year's greetings to loved ones living in other cities or even abroad. The proud Iranian people deserve to enjoy the best of life without fear of repression. May this Nowruz bring new beginnings and a brighter future for everyone! Happy Nowruz! با شعرى از سهراب سپهرى، نوروز مبارك. Click here for Nowruz messages from Iran's top leaders.